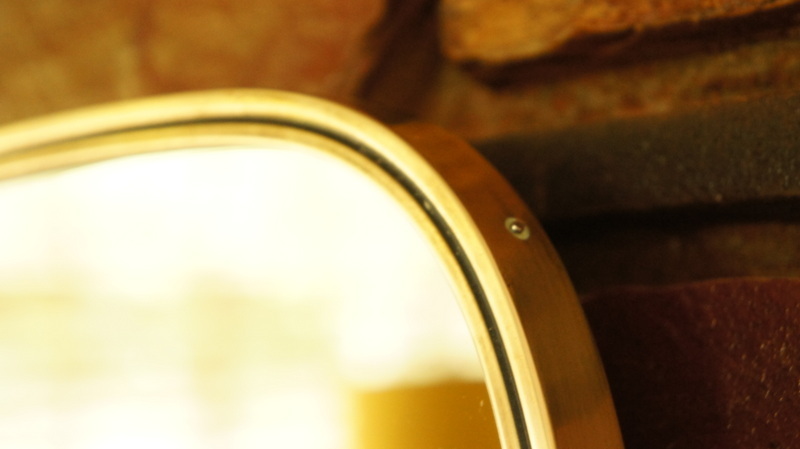 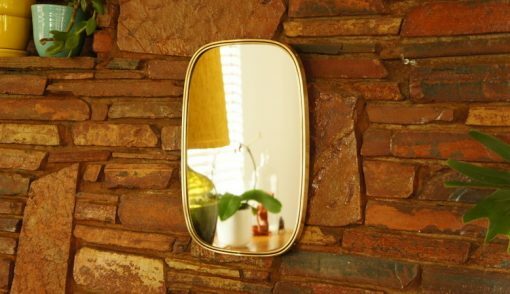 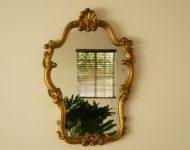 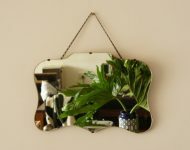 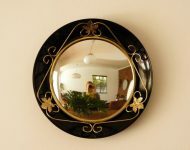 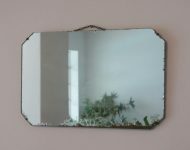 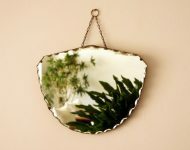 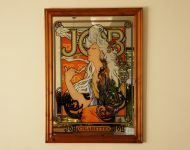 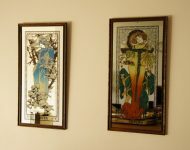 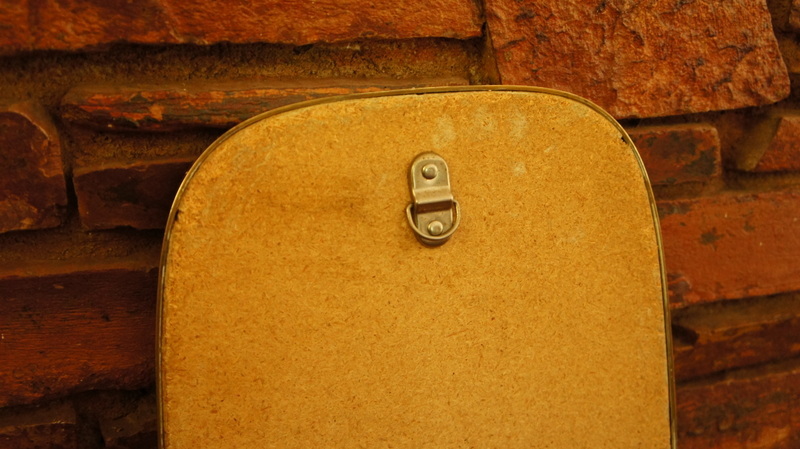 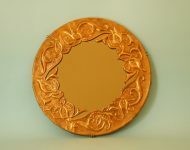 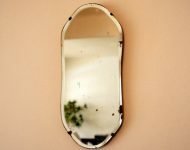 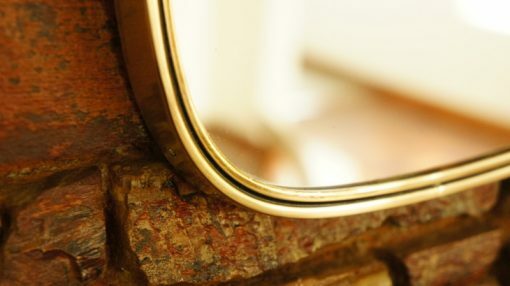 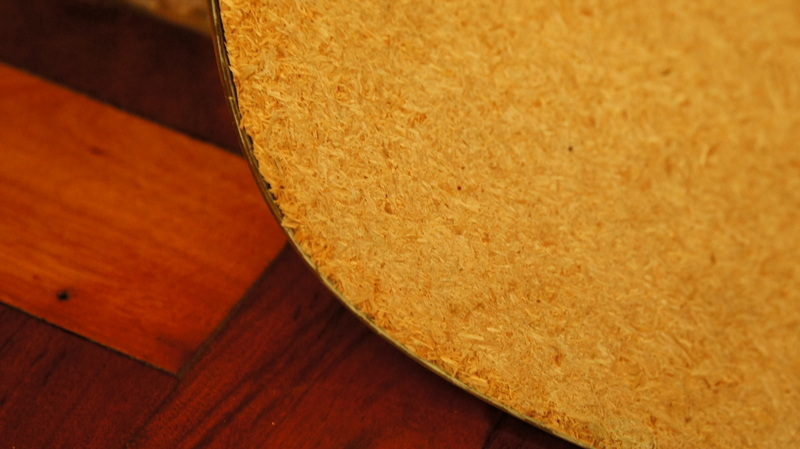 I love these retro brass framed mirrors – of all the designs out there, these brass guys are my very favourite! 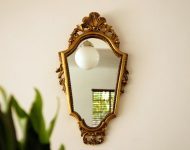 This is quite an unusual version n that it’s symmetrical (the shapes are normally more angular) and it’s also quite small. 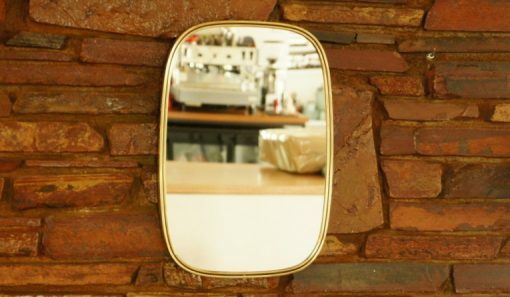 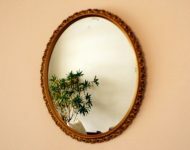 Generally speaking the bigger the mirror the better, but the fact that I’ve never seen one this size makes it just as special as if it were large. 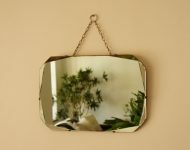 Being small you obviously need to find the right space for it (I’m thinking above a small basin in a guest loo, or as part of a collection of mirrors on a larger wall), but in the right spot I think it’ll really shine! Note: Currently it can only be hung vertically, but if you add another hook you can always hang it horizontally – it just depends on what your space calls for….